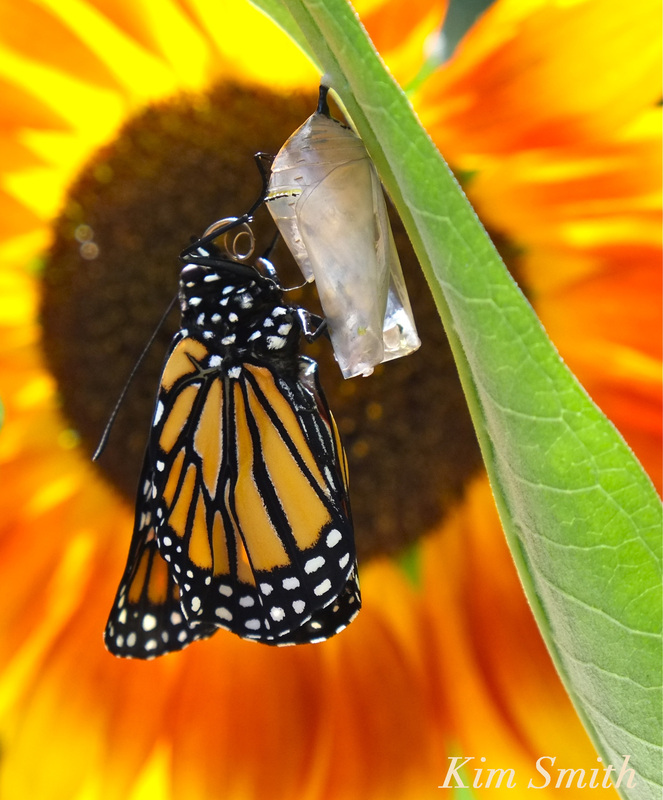 Please Share Your Monarch Sightings – Thank you! There have been few Monarch sightings this summer but I have been hoping for a strong fall migration. The migration is peaking in Kansas and we are always a little bit behind. Please let me know if you see a Monarch, and where. Thank you very kindly! Monarchs are emerging daily in my garden, from eggs collected at my friend Nancy’s field in Salem. This too would be an indication that we may be seeing them soon. This entry was posted in Gloucester Massachusetts, Lepidoptera, Monarch Butterfly, Monarch Butterfly Film, Monarch Butterfly in Crisis, Monarch Butterfly Migration in crisis and tagged Beauty on the Wing ~ Life Story of the Monarch Butterfly, Monarch butterfly, Monarch Butterfly Migration, newly emerged Monarch Butterfly on September 23, 2016 by Kim Smith. For the last 2 years I have not been seeimg the monarch butterfly at all. This year I was so happy to see them again! Everyday I see atleast 1 or 2. I have been saying for the last 2 years something must be happening to them because we have always had them around our area. We live in upstate NY in a suburb of Rochester, NY. I am glad I came upon this article. I am also glad to see them again!!! Kathy.